Months of winter weather, central heating and icy blasts can leave your hair feeling dry, frizzy and damaged. 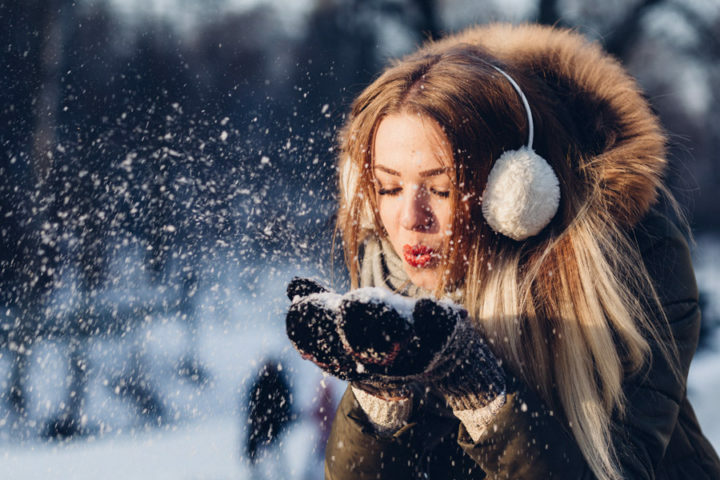 Pure Hair’s Director Laura shares her professional tips for boosting your hair’s appearance during the cold winter months. We’re putting this right at the top because adding moisture is the number one rule for your hair during the winter months. Switch to a moisturising shampoo and conditioner specifically formulated to combat dryness. If your hair is too thin or fine to stand up to much moisture, use the products alongside regular haircare routine or apply a deep conditioner once a week. I recommend trying our new Alterna Replenishing Moisture Shampoo & Conditioner which hydrates and nourishes dry, brittle hair. Just ask one of our team who can help choose the right products for you. Hot, stuffy rooms and central heating can cause havoc with your hair making it dry. Heated styling tools, like curling tongs or hair straighteners, make the problem worse. So a heat defence spray is a must to protect your hair to prevent breakage and keep it looking glossy and hydrated. One of the most effective ways to keep your hair healthy during winter is to get rid of dry ends with regular trims. As well as cutting away dry ends, regular trims are also great to encourage hair growth. I suggest trimmimg your hair every 3-4 weeks for short hair, 4-6 weeks for medium-length, and 6-10 weeks for long hair. What with all those hats, hoodies, scarves and beanies your hair can soon become a fizzy, static mess. Combat this by using a vented brush that has a combination of plastic and boar bristles while combing your hair to keep hair smooth and more manageable. During winter, avoid washing your hair in hot water as it dries out the hair. Instead wash your hair in warm water and blast with cold water at the ends to help seal the hair cuticles. Cooler water will also make your colour last longer (at any time of the year). Finally, if your tresses are limp, lank and dry after months of winter punishment why not include an Olaplex treatment on your next visit? Describing itself as “insurance for your hair” it helps create stronger, healthier hair and longer lasting vibrant colour. Find out more here or ask your stylist.